Background/Info: Swedish pop-invaders Roger Tell, Daniel Önnerby and John Andersson are back on track unleashing their third album in history. 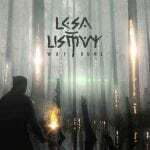 It’s the first full length since “The Prefect Stories” (2015) released on Russian label ScentAir Records. This new opus is again a self-released work. Content: If you’re a bit familiar with Vogon Poetry you probably know what to expect. Those guys stand for a kind of happy-danceable synth-pop music. 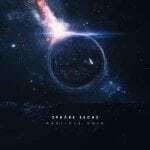 They are still inspired by ‘space’, which is perfectly illustrated at the front cover. You can still find this inspiration in the titles and lyrics of the songs, but sound-wise it first of all remains electro-pop in the good-old tradition of the genre. This is the kind of music appealing for fans of Depeche Mode, Erasure and co.
+ + + : Vogon Poetry doesn’t take me by surprise when it comes to the genre they’re dealing with, but production-wise there’s a noticeable evolution since the debut-work “Don’t Panic” (2014). The writing became more mature and the songs more catchy. Roger Tell still is a talented singer for this electro-pop. This is a production with an exciting retro-feeling resulting in several cool songs. – – – : The work only features 8 songs and that’s regret, but at the other side it only reveals I like this work. 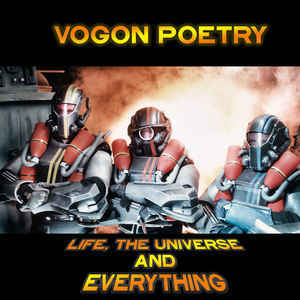 My only real regret is that Vogon Poetry hasn’t composed ‘the’ hit so far and that’s maybe what makes the difference between them and some of their famous electro-pop compatriots. Conclusion: If you like traditional electro-pop and you’re not open for new experiments; this new Vogon Poetry album is a real must have! Best songs: “The Heart Of Gold”, “In Space No One Can Hear You Scream”, “Spacewalk”, “Dangers Of Space”.